The Grand Junction Police Department has received a ballistic vest thanks to a nationwide GROUPON EVENT that raised over $335,000.00. The “Occasions ” campaign for Groupon Grassroots to outfit police K9’s with bullet and stab protective vests ran February 15th through March 5th. Vested Interest in K9s, Inc. was the nationwide non-profit organization and charity partner selected by Groupon Grassroots to participate. 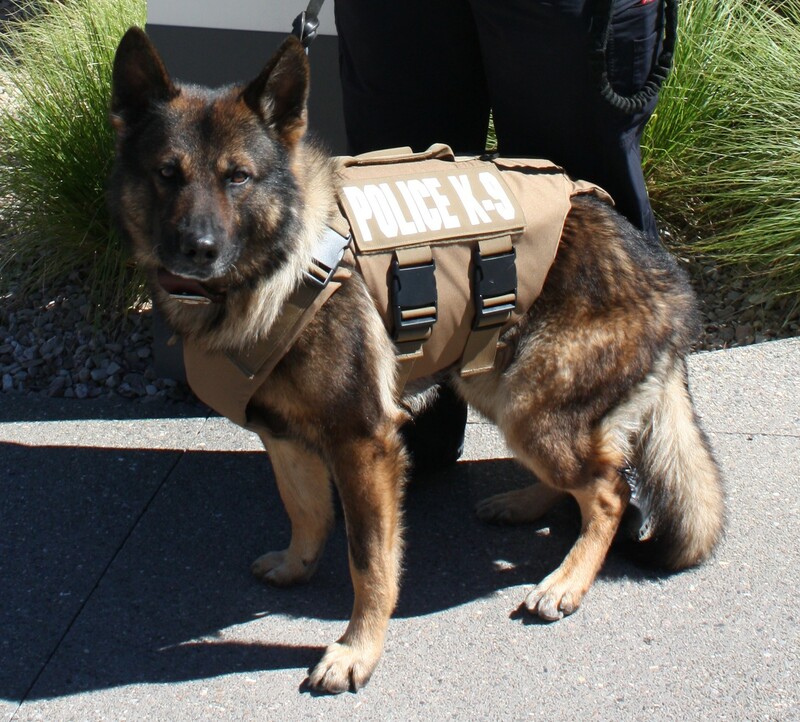 The online $10 donation suggested interested persons purchase a GROUPON (a tax deductible donation) through the secure website where all funds were allocated to purchase ballistic vests for our four-legged crime fighters who put their lives on the line for the community and their partner. Vested Interest in K9s, Inc. will be providing over 350 law enforcement dogs nationwide with the protective body armor in memory of K9 Rocco of the Pittsburgh Police Department who sacrificed his life in the line of duty in January of 2014. All vests will be embroidered with the sentiment, “In Memory of K9 Rocco, Pittsburgh Bureau of Police”. Vested Interest in K9s, Inc., a 501c(3) organization is still accepting donations through their website: http://www.vik9s.org and via mail P.O. Box 9 East Taunton, MA 02718. In 2013, Vested Interest in K9s, Inc. partnered with Groupon and was named as one of “The Best of 2013” campaigns. The nonprofit raised $155, 537.33 in just one week, which provided ballistic vests for 163 law enforcement dogs in 30 states. There are an estimated 30,000 police dogs throughout the United States. Vested Interest in K9s, Inc. is a 501c (3) charity located in East Taunton, MA. Whose mission is to provide bullet and stab protective vests and other assistance to dogs of law enforcement and related agencies throughout the United States. Each vest costs $950.00 and has a 5 year warranty. 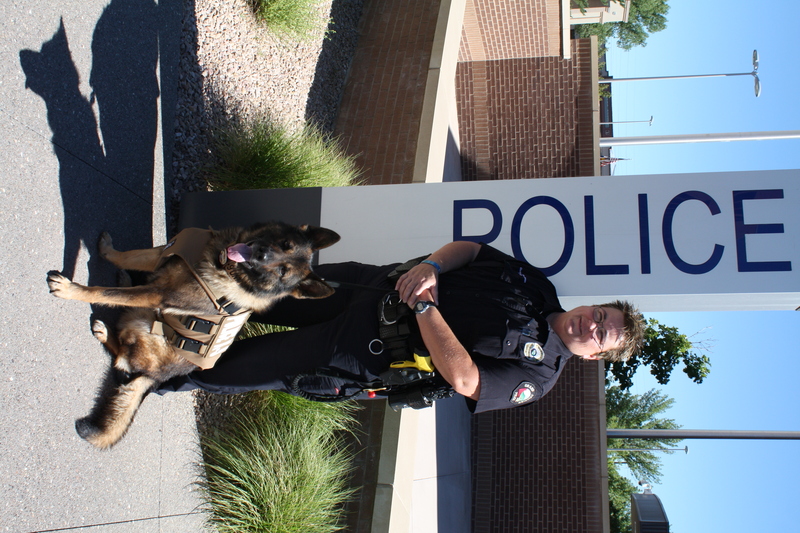 The nonprofit was established in 2009 to assist law enforcement agencies with this potentially lifesaving body armor for their four legged K9 Officers. Through private and corporate sponsorships, Vested Interest in K9s, Inc. provided over 1047 law enforcement dogs in 39 states with protective vests since 2009. For more information or to learn about volunteer opportunities, please call 508-824-6978. Tax deductible donations and event listings are via the website: www.vik9s.org. This entry was posted in GJPD News and tagged Grand Junction Colorado, grand junction police, k9, Law Enforcement, Mesa County.